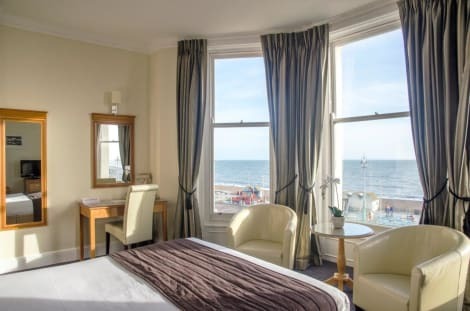 The Langfords Hotel in Hove is situated on a tree lined avenue a short stroll from the shingle beach of Brighton and Hove’s historical seafront;only a fifteen minute walk from the bustling centre of the South Coast’s famous seaside resort of ‘kiss-me-quick’ Brighton. Although Brighton retains its cheeky reputation, it has grown up considerably since it merged with its immediate neighbour, Hove – when it became a new British city for the Millennium; a gift from HM The Queen! The combined treat of ‘Brighton & Hove’ officially merging, is that the City has become one of Britain’s most savvy twenty-first century Media Hubs – and The Langfords keeps pace happily with free fibre enabled Wi-Fi The Langfords is a lovely, red-brick Victorian building echoing with old charm and brimming with character. 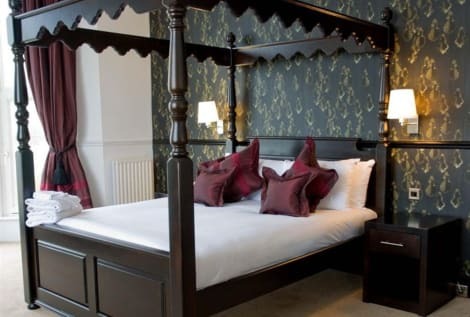 The hotel has 58 very well proportioned bedrooms (all with en- suite facilities), and the spacious lounge bar has direct access to our lawned gardens – perfect for relaxing in on those sunny summer days and warm evenings. Enjoy a meal at Channel View Restaurant, or stay in and take advantage of the hotel's room service (during limited hours). Wrap up your day with a drink at the bar/lounge. English breakfasts are served on weekends from 8:00 AM to 11:00 AM for a fee. With a stay at Cross Street Guest House in Hove, you'll be minutes from Peace Statue and close to Churchill Square Shopping Centre. This guesthouse is within close proximity of Palmeira Mansions and St. Mary and St. Abraam Coptic Orthodox Church.Rooms Stay in one of the guestrooms featuring flat-screen televisions. Complimentary wireless Internet access is available to keep you connected. Bathrooms feature showers, complimentary toiletries, and hair dryers. Conveniences include coffee/tea makers, and housekeeping is provided daily.Dining A complimentary full breakfast is served daily.Business, Other Amenities The front desk is staffed during limited hours. The smart, 3-star The Brighton Hotel is just a 15 minute walk from the city centre, where you can explore many of the boutique shops and bars. Enjoy the seaside views from the hotel, while you take sip on a cocktail at the onsite contemporary Lounge & Bar where breakfast is also served every morning. 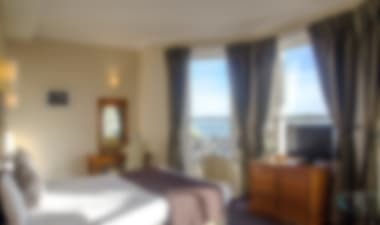 The hotel’s smart rooms are fitted with wifi, a TV, private bathroom, and tea and coffee making facilities. The Grade II Listed, Georgian Kings Hotel sits on the seafront, only a short walk from the Lanes shopping area, Brighton Conference Centre and Brighton Pier. You can relax with a drink at the hotel’s K Cocktail Bar and in the morning pick from a breakfast menu that includes homemade pancakes, grilled or poached fish, and a full English breakfast. 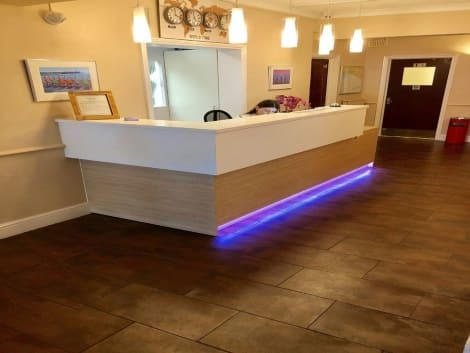 The hotel has stylish en-suite rooms that come with flat-screen TVs, and free wifi to keep you connected.